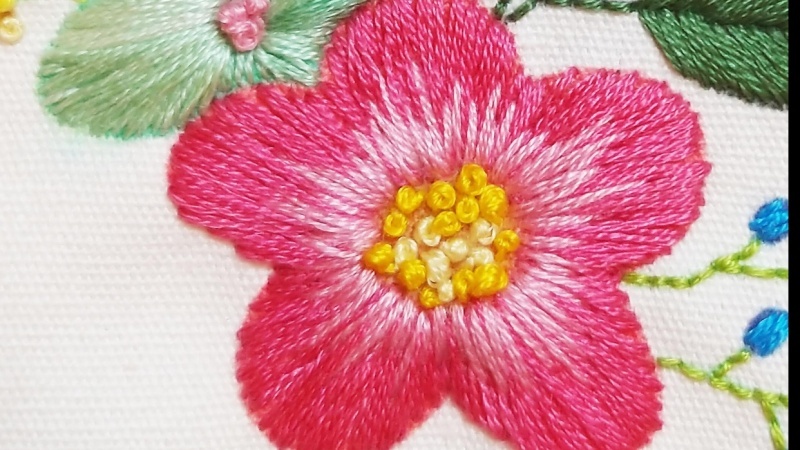 In this course, we will stitch a tropical flower design using a 6 stranded thread technique. 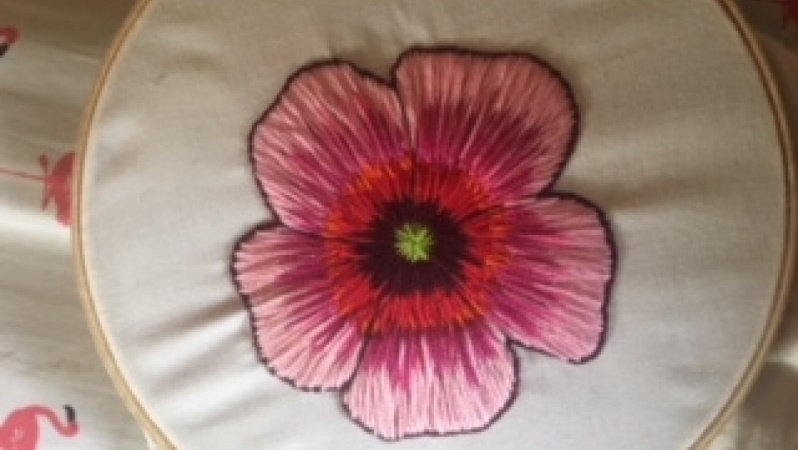 We will use bold, contrasting colors to add variety to our embroidery. In these videos, I will take you through the technique step by step and show you just how easy it can be. This is an introductory class, covering the basic technique of needle painting and each video builds on the last to provide a comprehensive guide to completing this piece. 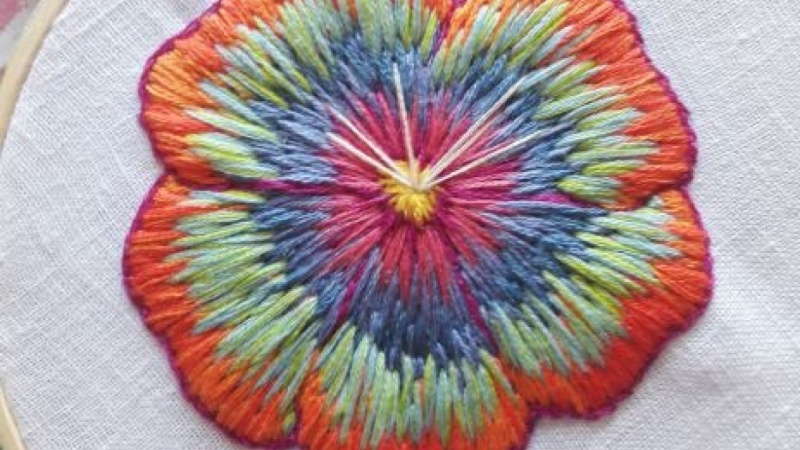 During this class, you are going to create your own project using needle painting! This will be achieved by stitching along with me in the video tutorial. Hi! my name is Floor and I'm a dutch embroidery artist with a passion for digital marketing. I started with embroidery in 2016 and never stopped. When I was new in embroidery, I always was on the lookout for tutorials about needle painting and couldn't find much, so I'm happy to share my knowledge with you. I will go over every step so you can stitch along with me.